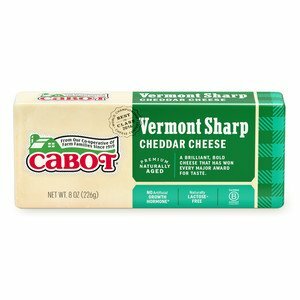 You can make this with one kind of cheddar, or use a different flavor for each triangle, as shown. And of course, you can make a larger star for a bigger crowd. 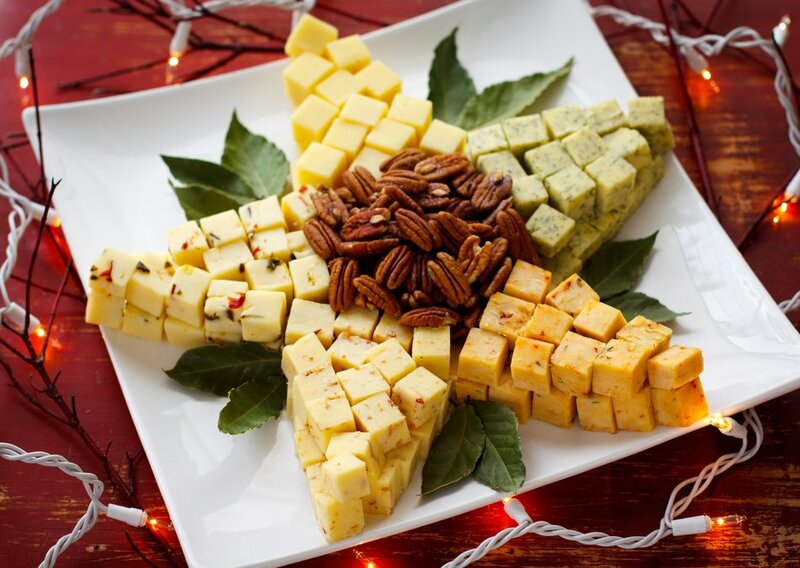 Instead of a traditional cheese platter this holiday season, try displaying a variety of Cabot cheeses in a festive shape – a holiday cheddar star! This fun and creative, lactose free, idea can be made smaller or larger, depending on the size of your gathering, and will liven up any food table. 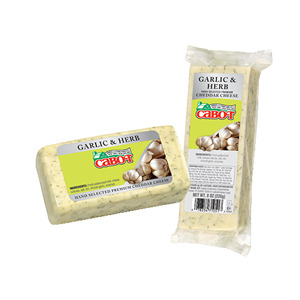 CUT cheese bars into approximate 3/4-inch cubes, about 30 cubes for each flavor. 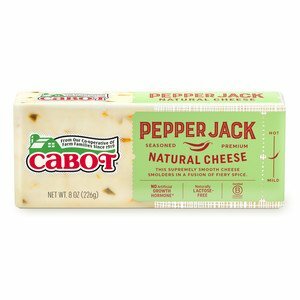 PLACE on large platter or cheese board (star will be about 13 inches in diameter), five evenly spaced cubes to form outer tips of star. Arrange more cubes in lines to outline five triangles. Fill in center of each triangle with as many cubes as will fit, then top with second layer of cubes. TUCK bay leaves or herbs into star. Cover and refrigerate until ready to serve. Fill center with nuts, olives or tomatoes. 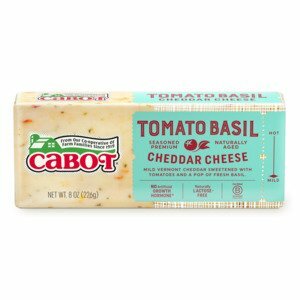 *Try Cabot flavors such as: Cabot Smoky Bacon Cheddar, Cabot Garlic & Herb Cheddar, or Cabot Chipotle Cheddar. Super cute and festive for the holidays! My guests loved it!